With the addition of the Derwent World Patents Index, Source IP users will be able to gain a quick and accurate understanding of how the research organisations’ inventions may be applied in their industry, as many original patent documents tend to use highly technical terminology to describe the invention. 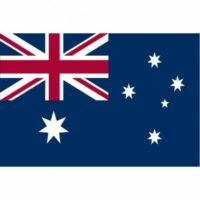 IP Australia, the Australian Government agency that administers IP rights and legislation, has entered into a partnership with Clarivate Analytics (Clarivate) to augment its Source IP database with enhanced patent data from Clarivate. Source IP is an IP Australia initiative launched in 2015 with the aim of facilitating collaboration between Australian businesses and public sector research partners and increasing investment in public sector IP. Usually businesses find it hard to access information about available public sector IP. Seeking to overcome this barrier, Source IP serves as a single platform for public sector patent holders to signal their licensing intent and promote their key areas of technology within a single platform. Source IP currently features research expertise from over 67 research organizations including Commonwealth research organizations, universities, Medical Research Institutes and Cooperative Research Centers. Through this collaboration, a number of Source IP patents have been enhanced with additional patent data through over 2,000 Derwent abstracts from Clarivate. The Derwent World Patents Index (DWPI) is a database containing clearly stated uses and advantages of patents from more than 50 authorities covering over 30 languages. With the addition of DWPI, Source IP users will be able to gain a quick and accurate understanding of how the research organisations’ inventions may be applied in their industry, as many original patent documents tend to use highly technical terminology to describe the invention. It will be easier for industries to search and comprehend available patents, find out what patents can be licensed from Australian universities to strengthen their own R&D efforts, and identify potential research partners.